Two authors, Alan Yuen from the Department of Clinical and Experimental Epilepsy plus Josemir Sander from SEIN-Epilepsy Institute of the Netherlands Foundation based in Heemstde, The Netherlands writing recently in the Journal of Epilepsy Research have written an interesting hypothesis about diet supplementation of magnesium to reduce seizures. First a little background on magnesium. ” Magnesium is required for over 300 enzyme systems and is critical for many cellular functions including oxidative phosphorylation, glycolysis, DNA transcription and protein synthesis. Studies suggest that the modern Western diet and lifestyle may lead to magnesium deficiency, and this appears to be associated with a wide range of medical conditions. Magnesium deficiency decreases seizure thresholds in animal models of epilepsy and indeed low magnesium concentration in the perfusate is a common method of generating spontaneous epileptiform discharges from rat hippocampal slices. Magnesium is a potential modulator of seizure activity because of its ability to antagonize excitation through the N-methyl-D-aspartate receptor. Some studies have shown that people with epilepsy have lower magnesium levels than people without epilepsy. There are case reports of seizures being controlled with magnesium supplementation in people with specific conditions, and recently in an open randomized trial, children with infantile spasms responded better to adrenocorticotropic hormone (ACTH) plus magnesium than to ACTH alone.” These authors are drawing attention to the western lifestyle specifically with the diet. Where in our foods do we have magnesium? (Rude, 1998).” Notice some common themes from previous essays? Like nerve conduction, that’s brain stuff, 50% of magnesium is stored in bone, should I say brain bone conversation ? 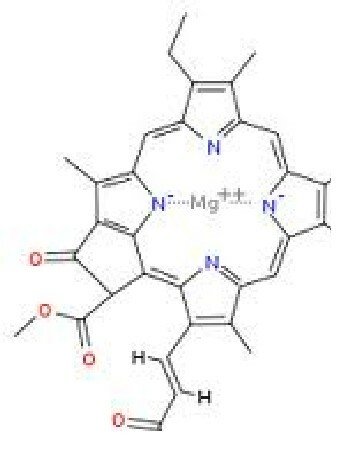 Then there is the magnesium in muscle and all the other enzyme systems, so that’s the heart muscle which is brain heart conversation, looks like a story to me what do you think ? Hence, Mg deficiency appears to be associated with increased risk of cancer, cerebral infarction, coronary heart disease, diabetes, osteoporosis and mood disorder.” The metabolic triangle of brain bone heart conversation comes into notice. is accepted as standard care for these conditions despite limited evidence (Guerrera et al., 2009). Hence, there is evidence for the use of Mg supplementation in various arrhythmias, hypertension, prevention of seizures in eclampsia and pre-eclampsia, and in severe asthma.” That’s heart brain conversation for sure, so to query the brain you listen to the bone conversation or the heart bone conversation, do you follow our logic? The authors also cited a bunch of reports on the ability of magnesium given in mice experiments in a dose dependent manner to inhibit convulsions and that low blood Mg concentration levels are associated with seizures. Here’s another of their musings: ” It has been suggested that low Mg can reduce surface charge of neuronal membrane, thereby increasing neuronal hyper-excitability (Isaev et al., 2012)” I’m noticing the descriptive term, surface, here are we getting into any sort of tensegrity tension net activity with magnesium? Previous essays have focused on the cardiac effects of seizures, bone micro fractures associated with cardiac arrhythmias, magnesium metabolism appears as the window into the conversation/communication that the observer should lean against the window to listen in on. Right now its like a foreign language so its not easy to follow, but the major observation is that it is there. But what about breaking the conversation at bone does this help understand the foreign communication within the bone does this tell us any thing about the communication to shape? In other words is the size of magnesium important to shape and/or tension net as visible from a tensegrity window? Lets explore that question. I will be quoting from the recent article Increased new bone formation with a surface magnesium-incorporated deproteinized porcine bone substitute in rabbit calvarial defects in the Society for Biomaterials published on line 12 January 2012 from the Kyungpook National University, Daegu, republic of Korea authored by Jin-Woo Park, Hyuk-Jin Ko, Je-Hee Jang, Hochang Kang and Jo-Young Suh. Recent studies have employed Mg in the modification of synthetic hydroxyapatite (HA) bone replacement materials in order to control biodegradation and improve osteoconductivity. 24–27 Such Mg-enriched synthetic HA reportedly supported favorable bone healing in extraction sockets and elevated sinus floor in human studies.25–27 In the attempts to modify xenografts of animal origin, deproteinized bovine bone materials have been modified with collagen, cell adhesion peptides, and bone morphogenetic proteins to improve their bone forming ability.13,14,28 However, to date there have been only limited studies on xenograft of porcine origin, i.e., deproteinized porcine cancellous bone.10,11 To our knowledge, there have not been any reported attempts to increase the osteoconductivity of xenografts of animal origin by incorporating Mg into them.” So it appears, the early cell adhesion effect of magnesium as the authors term is a critical enhancement for bone healing, which is the rationale for their experiments. once the defect healing zone was investigated a few weeks into the healing process this is the comment of the authors; “The surface of the MG sample was covered with nanostructures 100 nm in size.” Now to explain things here this is at an exceedingly small scale at the healing junction.Yet when the Mg is present as a surface nano feature healing appears to improve. through a facilitation of integrin-mediated signaling pathways. 15,17,21,22 Thus, we suppose that MG particles supported better new bone formation than other bone substitutes with a chemically stable HA structure by enhanced cellular attachment and differentiation on the surface because of biological effects of the surface nanostructures and Mg ion chemistry. In addition, we cannot rule out a possible contribution of the surface micropores in the bone healing of MG bone substitute. These micropores may enhance ionic exchanges with body fluids and serve as nucleation sites for calcium phosphate precipitation,41,42 which is believed to contribute to enhanced bone healing, possibly by acting in a synergistic manner with the Mg chemistry and surface nanostructures.” Again the numbers in the paragraph are references which refer to the original artickle for those readers interested enough to further their own investigation. Going back to my original question: In other words is the size or scale of added magnesium important to shape and/or tension net, if visible from a tensegrity window? Lets explore that question. It sure looks like the nano scale of Mg is promoting into the healing process. Here in Dentistry this is a big wish to get implants accepted or incorporated into bone better and faster is a major desire, by adding Mg that incorporation is engaged. Here’s what is fascinating: is this magnesium part of the language of a tension net of tensegrity, is this the scale of shape sensing that were observing?